The literary and arts journal, Eleven Eleven, offers an interesting assortment of different styles of poetry, fiction, and non-fiction writing that is published yearly from the California College of the Arts. After reading the journal, I was surprised to see the variety of both traditional and experimental writing. The print publication of Eleven Eleven is edited and produced by students, and the journal is strikingly well done and professional. An online edition of Eleven Eleven also comes out once a year. I am reviewing only the print edition. Eleven Eleven publishes writers of translation, of poetry, of fiction, and of non-fiction. Even though I find experimental writing to be more interesting than traditional narrative, I thought almost all the writing to be very compelling; in other words, I wanted to continue reading. The writing was diverse—from realism to magic realism (loosely defined by me as writing that contains a narrative, some based only on realism and magic realism being the combining of “what is real” with a magical element) and also several experimental poems. The first series of poems from the journal originally were written in the Mongolian language by D. Nyamsuren and translated into English by Simon Wickhamsmith. Two of these poems use nature imagery to poignantly describe human emotions. For example, the second poem, “The snow piles up,” begins with that line: The snow piles up./ White butterflies come flying and flying.” I think both these lines work well with each other, first with the very specific image of snow and then the surprise and magical realism of the white butterflies introducing a new feeling onto the first line. Eleven Eleven published a poem by Charles Alexander, whose work is quite experimental. 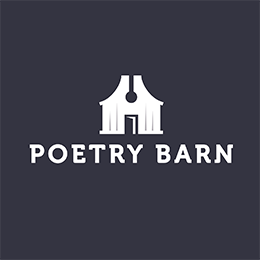 Here are several lines from “Pushing Water 77:” “the lights lighting the lights lighting/the hills lowering the hills lowering.” The subject and tone of the poem slowly unfold through the repetition of words and the simplicity of the language. The language changes but continues to use very simple words and images that actually do not describe anything in great detail. Instead, it also evokes a feeling. Simon argues that rather than being obtuse and unclear, which is how many academics would interpret this poem, Vallejo is working towards absolute clarity. In my opinion this means that he is writing it in a new poetic form that needs to be understood in a way that is different from poetry that evokes feelings by using language that creates a mood rather than by using precision of words. What I think that Simon means is that every clashing image or word is conveying a more precise meaning of Vallejo’s writing. One of the most interesting pieces of non-fiction that I found here is titled "A Gift from my Father," written by Margo Barnes. It is about her father’s death from alcoholism and the effects that it had on the family though out the years. Although there have been many stories written about the effects of alcoholism on the alcoholic and the people close, this one was very powerful for me. Barnes humanizes her father, which is a much fuller interpretation of what he was like as a father, a husband, and a very successful businessman until his illness took over. It is a story of a man who tried over and over again to quit drinking but could not overcome his addiction. It gave a much more nuanced feeling of what happens to a family and the individual addict. And it was tragic, as most stories about alcoholics are. The last prose piece that I am going to discuss is Michael Byers’ very short story, "The Last of Dr. Bondoon," which is a short piece of fiction with a joyful ending. This is about a young man who leads a very disorganized life, but due to his dentist's death, he becomes a more satisfied and happy person. The writing is a discovery of what made this man happy. It is written about him, and it lacks any development of other characters in this short story. He eventually finds happiness though his wife’s Minnesota family. He becomes an ordinary man, but a happy ordinary man. This short story had a quirkiness to it that made is so much fun for me to read. I enjoyed it. Finally, I want to say something about the art that is presented in this journal. After looking at the art, I have decided that it is really difficult to show visual art in a print journal. The presentation of the art on a page does not give it justice. I often look at art that has been shown in online journals, and it is much easier to capture the subtlety of color and form though online media, and of course, through viewing it in a gallery. In conclusion, the quality of writing in Eleven Eleven is very good. The diversity in writers and culture are also well represented. I wanted to keep reading.